She stayed way past her allotted time because she insisted on chatting with everyone who came. 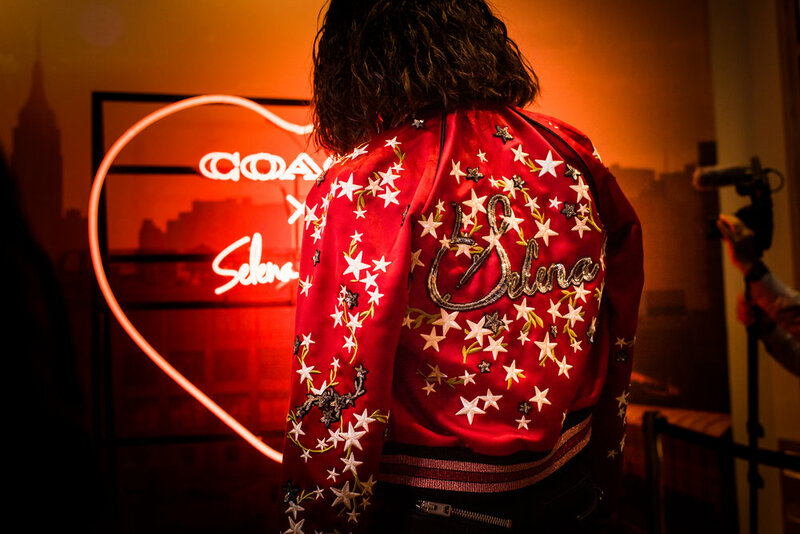 Selena greeted all the fans with a hug, signed posters and took lots and lots of photos. Just a few days later she announced she had a kidney transplant. I've never met a celebrity/notable more inspirational than Selena. 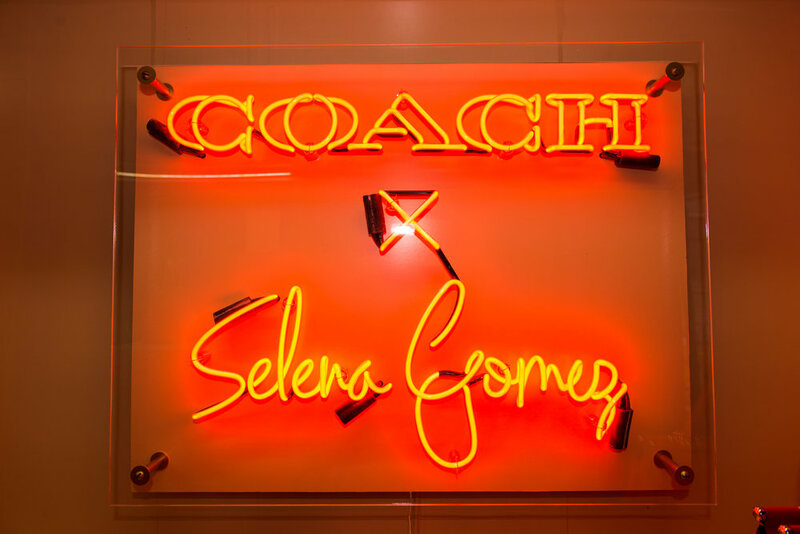 It was an honor to spend the day with heron 5th ave at the Coach store to celebrate her new collaboration bag with Stuart. 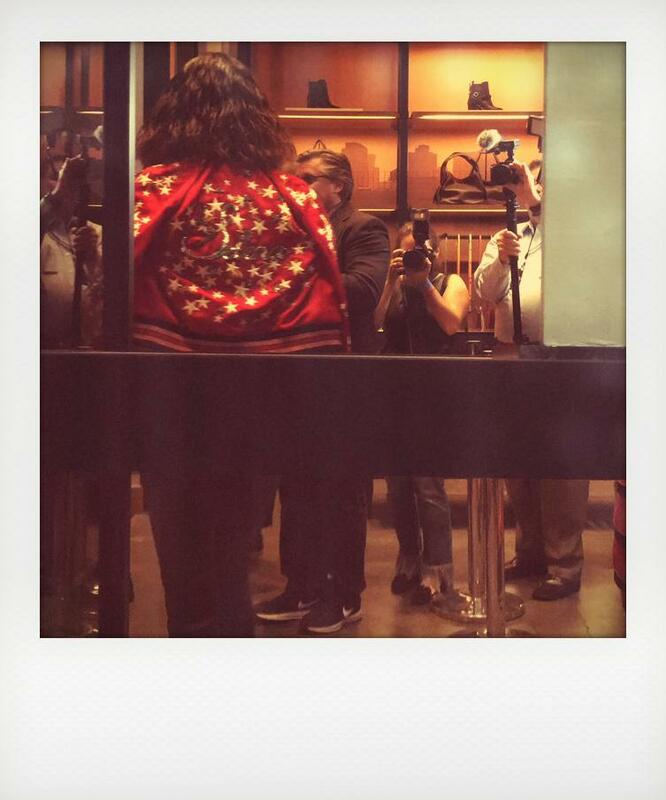 To the left is me shooting the superstar in Coach's store in custom Coach bomber jacket.